Royal Mail has launched its first ever parcel post-boxes in Northampton and Leicester, attempting to help small businesses and eBayers. The parcel post-box trail in the Midlands will allow customers to post pre-paid parcels through securely designed parcel post-boxes, in the same way that they currently post a letter. The trial will run until November and has seen 30 post-boxes adapted to accept parcels. For the proof of concept trial, Royal Mail is repurposing some existing meter mail drop boxes. With a wider aperture and secure design for mailing larger items, the parcel post-boxes make the posting of larger prepaid parcels both safe and convenient. For the trial, 17 parcel post-boxes will be sited in Northampton and 13 in Leicester. 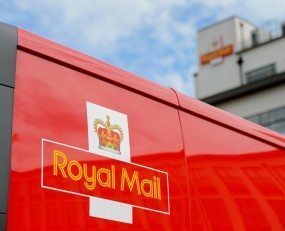 At the end of the trial, Royal Mail will review consumer feedback and usage of the parcel post-boxes. A decision will then be made whether or not to introduce some parcel post-boxes in various locations across the UK.